Architects Gensler and Legendary Development have revealed renderings for a long-anticipated 11-story development on an existing L-shaped parking lot surrounding the A+D Museum in Downtown Los Angeles. 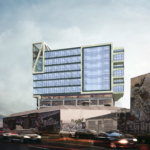 The proposed tower will be located at 4th and Hewitt Streets in L.A.’s booming Arts District and will contain up to 255,000 square feet of office spaces, 15,000 square feet of ground floor retail uses, 11,000 square feet of common areas, and 538 parking stalls. 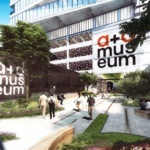 The 8,950-square-foot A+D Museum is to remain, though it will shrink to 7,800 square feet, according to a preliminary Environmental Impact Report (EIR). Rios Clementi Hale is performing landscape architecture services for the project, Urbanize.LA reports. The renderings were first published by Curbed LA. 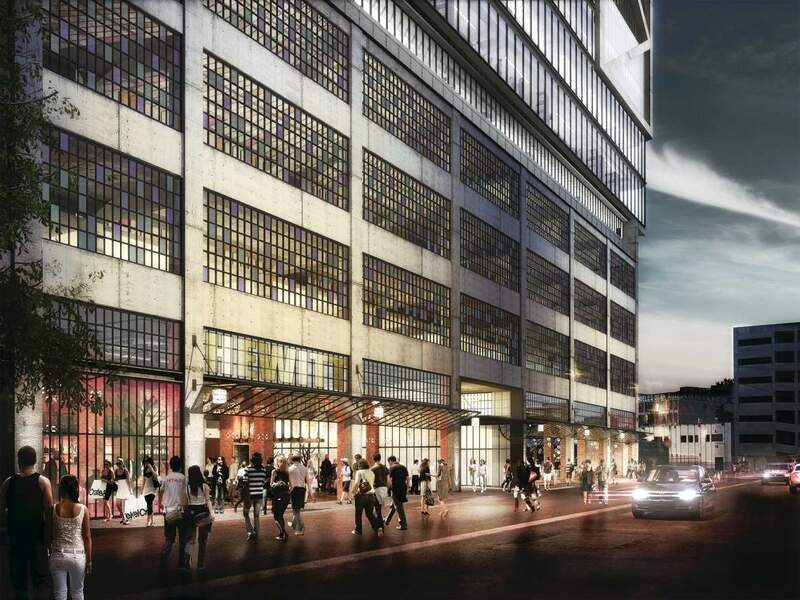 The development, according to the renderings, is designed to approximate the Arts District’s industrial vernacular aesthetic and will feature four lower levels designed to look like surrounding late nineteenth century factory buildings. These levels come complete with divided light, factory-style windows and exposed concrete frame elements. The lower portion of the building will be topped by a seven-story glass curtain wall–clad building mass that is highlighted on various corners by bump-out volumes and inset balcony spaces. 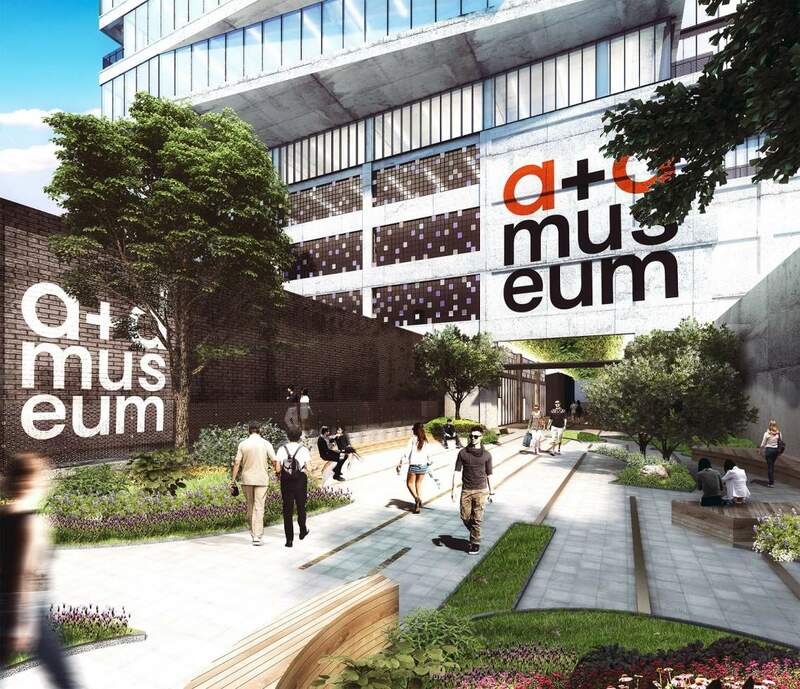 The complex will overlook the existing A+D Museum and will be accessed from a courtyard currently adjacent to the museum. 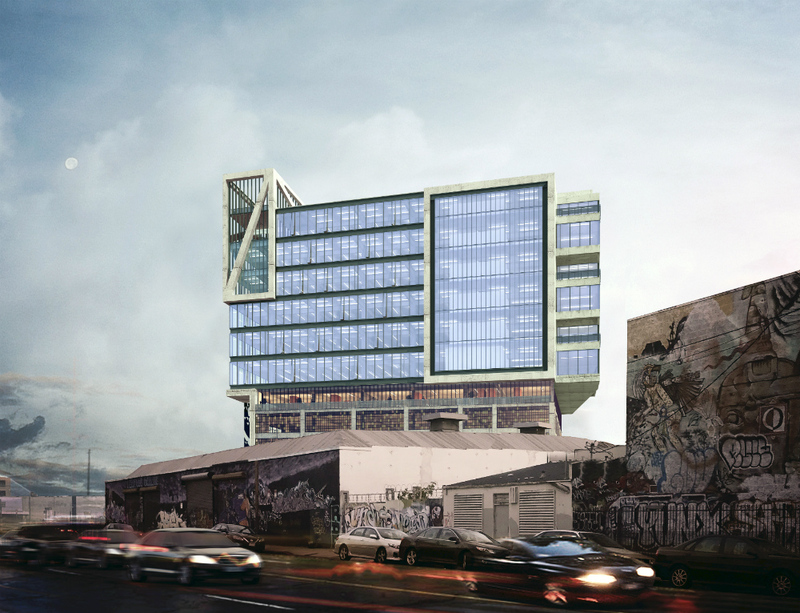 The project comes as the areas around the A+D Museum and adjacent Southern California Institute of Architecture campus see an increase in office-containing projects. 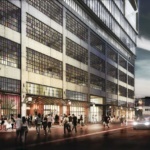 Several former industrial complexes—including an old Coca Cola syrup factory and a defunct Maxwell House Coffee roastery—are being adapted and expanded as developers work to meet growing demand for office space in the district. Other areas of the neighborhood are seeing a boom in residential and mixed-use development, as well. The Draft EIR indicates that the project team expects to break ground on the project in 2019, with completion scheduled for 2021.